I know the title of this post is a little extreme but my hair was having some serious problems a few months ago but with a little trim and these wondrous products, it has really improved. It had become so dry and damaged, particularly the ends and I just knew I had to do something about it. 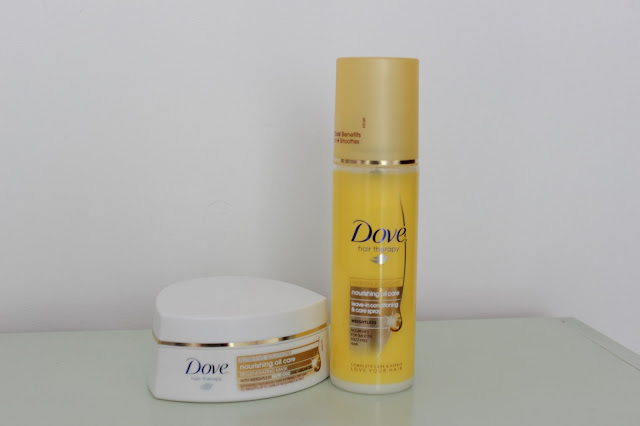 I decided to purchase these two Dove products as Kate raves about these a lot and they happened to be on offer for half price (both of them). I have seriously fallen in love since I got these, they smell A M A Z I N G. They smell so good, it smells almost like honey and vanilla but so much better. The leave in conditioning spray is the first one of these I have tried but I love it. I use it after I've washed my hair and spritz it all over, concentrating on the ends; I use it alongside a heat defence spray too. The spray makes your hair feel so much softer and it really tames frizz, not to mention making it smell so good. I sometimes spray this onto my hair when I haven't washed it, just to give it a bit of conditioning. The mask is one of the best drugstore hair masks I've ever used. I either find them too runny or they don't smell too great. 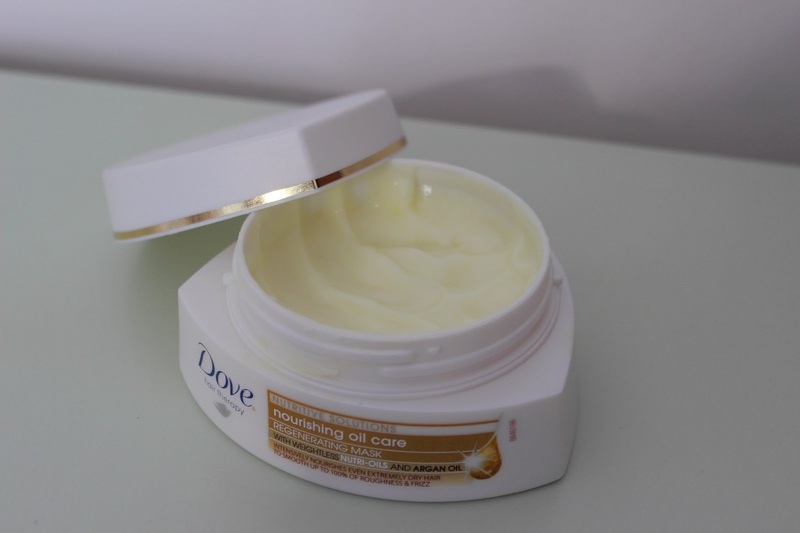 This little beauty feels so luxurious considering the price, it's thick and creamy and you hardly need much to make a big difference. It contains Argan Oil which is extremely noticeable. When I first used this for the first time I couldn't believe it, it made my hair feel amazing; I now use this about once or twice a week. I really recommend both of these products if you fancy a hair boost. They are really lovely and I will definitely be repurchasing when they run out. Have any of you tried this line before? have you tried the Aussie 3 Minute miracle? wondering how it would compare to this hair mask! Dove products are seriously unrated in my opinion. I love them! my hair recently has been really playing up and dry well, will give these a try! I love a good dove product, these look amazing. Sound perfect for my hair!